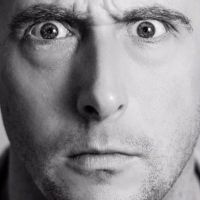 One of the few comics able to play to any audience without compromising on his material, David Longley can delight a hen party and the comedy connoisseur on the same night. Intelligent, silly, thought-provoking and filthy, Longley has found himself headlining comedy clubs all over the country and is also in demand as an MC. Longley has performed 4 full-length solo shows at the Edinburgh Fringe each one being greeted with critical acclaim. David is now a festival must see for audience and comedian alike.